GRAAM is selected as a Sector Specialist for ‘Rural Development’ and ‘Employment and Skill Development’ chapters in Vision 2025 Karnataka document, which is currently under process. Dr. R Balasubramaniam is the lead author for ‘Rural Development’ chapter and Mr. Basavaraju R is the lead author for ‘Skill Development and Employment’ chapter. A State Level Sector Consultation Workshop on ‘Employment and Skilling sector’ was called by Vision Document Project Office of Government of Karnataka on 26th September 2017. 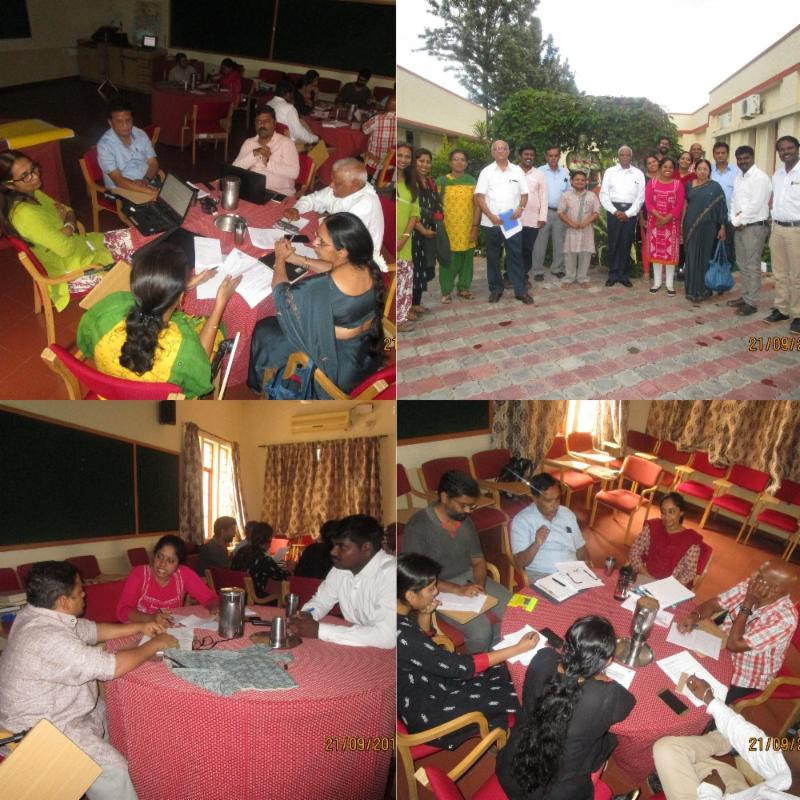 The workshop was facilitated by the Knowledge Partner – KPMG in association with GRAAM. The agenda of the workshop was to deliberate and collate inputs from different stakeholders ranging from Government departments, CSOs/NGOs, Senior Corporate leaders as well as Sector Experts on the contents of ‘Vision 2025 Document’ on Skill development and Livelihood Training. The workshop started with a welcoming note from Ms Renuka Chidambaram (IAS), CEO of Vision Document Project Office, who urged the gathering that the exercise should put the people/community in the centre of the discussion by including the question: What is in it for me?. The vision document should in fact actualize the buzzwords “participative” and “Inclusive”, and not just have them for the rhetoric. An Interview of Dr. R Balasubramaniam appeared in one of the prominent magazines of Mauritius. The interview questions ranged from the developmental model, models suitable for Mauritius, how the local youth talent can be optimized, the reasons why health & education of citizens should be a priority, similarities between India and Mauritius and other thoughts regarding Mauritius. 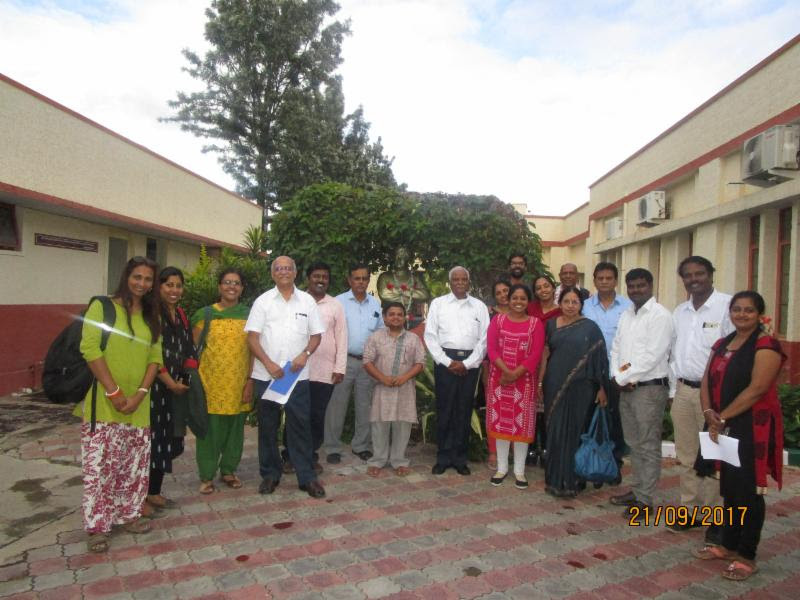 GRAAM conducted a two-day workshop for GRAAM-Empanelled Consultants on 20th and 21st September at GRAAM, Mysuru campus. Senior-level consultants with decades of experience in the development sector coming from different verticals participated in the workshop. The focus of the workshop was to enable a deeper understanding about GRAAM to the consultants, as well as to collectively explore how best to approach the opportunities/challenges in the core thematic areas of GRAAM. September 16, 2017 – was a special day for the GRAAM team as well for the marginalized tribal women community from a remote village of Janaganakote Hadi from HD Kote Taluk of Mysore district, one of the highly dense tribal belt of Karnataka. The GRAAM’s initiative to provide a sustainable livelihood for women in the tribal region has resulted into “Tasty and Easy-to-Make” products of Health EnRich – a social enterprise, developing nutritious ragi (finger- millet) products keeping its natural goodness intact. District Commissioner of Mysore Sri Ranadeep.D (IAS), Sri Mandya Ramesh – a Brand Ambassador of Health EnRich Products (Renowned Film and Theater Actor, and Director), and Smt. 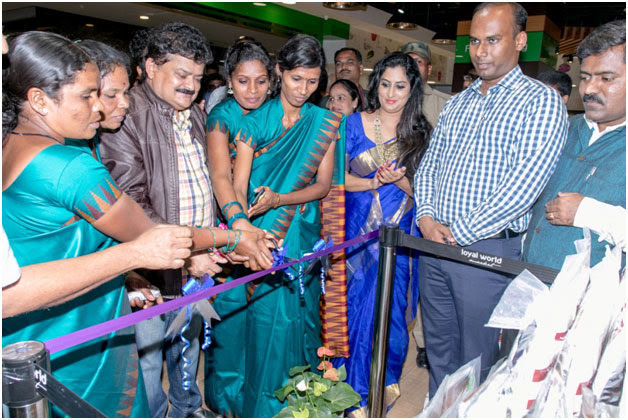 Roopa Ayyar (Renowned Actor, Director and Dancer) launched nine different products of Health EnRich in a renowned shopping complex of Mysore. The product launch was followed by a musical night of renowned Music Composer and Singer – Vasu Dixit. His mesmerizing song “Ragi Tandira Bikshake Ragi Tandira…..” made the entire audience to sing along him. Sugamya Shiksha has been initiated with the aim of strengthening public education system by complementing resources to ensure comprehensive learning and development of children. The program has been extended in a new set of Government schools, which provides an excellent opportunity for the involved schools to benefit from the Sugamya Shiksha program. 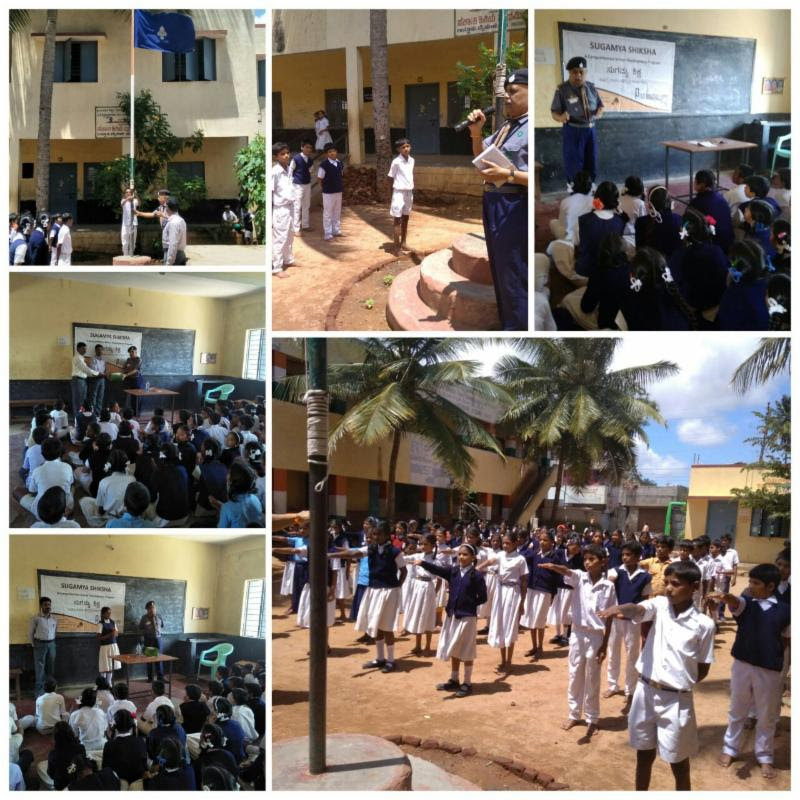 The below photo gallary captures the events conducted as part of Sugamya Shiksha and the rapt attention they received from the participants. Article authored by Mr. Basavaraju R explaining why Mysore district cannot be an open defecation free district by 2018. The article was published in Kannada news portal, named ‘Kannada Today’. Zilla Panchayat budget of 2017-18 has set the goal of making open defecation free (ODF) Mysore by 2018. The author explained various systemic challenges and community issues which will not allow the goal to be achieved by the set time frame. In the link below, you will find a section called “GRAAM Internship Reports”, which contains further details. Why Mysuru can’t be free from open defacation?